Response to terrorism is on two levels, one for perpetrators and another encouraging those who support the state. The volume of hatred and discriminatory policies of many nations, including nations that are considered allies, has reached a level that presents a strategic threat to the State of Israel. The Palestinian Arabs continue to preach incitement against Israel and Jew-hatred relentlessly day and night, in their kindergartens as well as in their High Schools and local Universities. Can we continue forward as we have in the past or should Israel embark on an entirely new pathway to ensuring her future existence ? Kehilat Bnei Torah synagogue sits at the bottom of a steep hill in the Har Nof neighborhood of West Jerusalem. The residents of this neighborhood are hareidi Jews, many of them English or Spanish-speaking immigrants; this synagogue is miles away from the 1949 Armistice line, and miles away from the line separating pre-1967 war Jerusalem from the areas reunited with the city during that war. Last Tuesday morning, two Palestinian Arab terrorists opened fire inside the synagogue at 7 a.m., while worshippers were in the midst of their morning prayers. After spraying the sanctuary with live fire, they attacked the wounded with butcher knives and axes. When the attack was over seven minutes later, four worshipers were dead, and the toll reached five when a Druze policeman who sacrificed his life to save the remaining Jews in the synagogue succumbed to his wounds. The image from the scene of Tuesday's synagogue attack in Jerusalem takes us back to the most difficult situations in the history of the Jewish people, to the pogroms, to the riots, to the Holocaust: Jews massacred in their prayer shawls, in the middle of a prayer; holy books drenched in blood; a desecrated synagogue. Support for coexistence has always been the choice of the silent minority among Israel’s non-Jewish minority. Also last week, in the Arab city of Tayibe, located just outside of the greater Tel-Aviv area, a Jewish citizen visiting friends there was almost lynched by local Israeli Arabs. On the one hand, a group of young Arab men, native citizens of Israel, did not hesitate to perpetrate such a barbaric incident in broad daylight in the heart of their city. On the other hand, the person who saved the wounded Jewish man was another Arab resident of the same city. This Arab resident, who acted courageously, is not afraid to appear in public and take pride in his action, and according to reports none of his Arab neighbors have condemned him. As Israel’s leaders decide on an effective response to contain the Palestinian Arab violence and terror that has erupted in recent months with Jerusalem being in the epicenter, its seems that just under our noses, a whole coalition of non-Jewish minorities have risen to the hour and have placed their destiny in partnership with the State of Israel. Israeli Druze, Circassian Muslims, Bedouin Arabs, and Israeli Arab Muslims are all minority groups within the Israeli Arab community that number in the hundreds of thousands. Druze citizens are prominent in the Israel Defense Forces, and a considerable number of Israeli Druze soldiers have fallen in Israel's wars. These non-Jewish minorities serve not only in the Israel Defense Forces, but in the Israeli Police Force, are Firefighters; those that don’t serve in active service opt for National Service for a period of one to two years. Just this past month 2 Druze officers were killed in action protecting the residents of Jerusalem. Intuitively, it makes sense that the national leadership should employ a strategic policy that creates an atmosphere of deterrence for those Palestinian Arabs and Israeli Arabs who have no interest in recognizing the right of Israel to be the homeland of the Jewish nation. 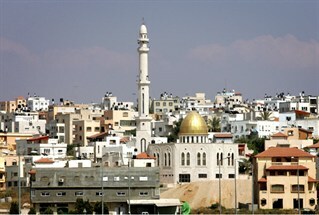 This policy of deterrence should include demolishing the homes of terrorists, seizing assets and property of terrorists, arresting family members of terrorists who support and incite to terror, lose of residency rights and national insurance eligibility, administrative detention, physically relocating individuals to the Gaza Strip. Should these measures be acted upon fully, they will claim a much higher price from any potential terrorist and his immediate family, who tend to support and inculcate the barbaric behavior exhibited by terrorists in recent months. Parallel to adopting this effective policy of deterrence, we the Jewish majority of Israel should at the same time begin reinforcing and supporting those very non-Jewish members of Israeli society who don’t rejoice when Jewish blood is spilled. The monopoly on Arab Muslim leadership has historically belonged to those Arab leaders that voice the more extreme intolerance of Israel and her right to exist. 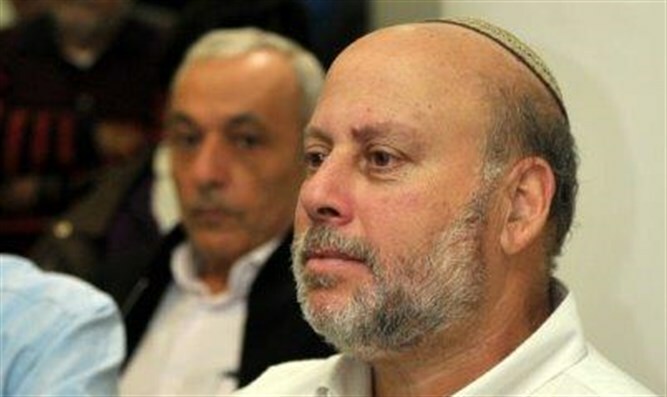 They spew their hatred and incitement from the halls of the Knesset aided by the international and local media. Support for coexistence has always been the choice of the silent minority among Israel’s non-Jewish minority. It is with this silent minority that Israel should reach out to, more so than in the past, and create a new bond that sends a clear message to those that rejoice after every terror attack against Israel. This emerging non-Jewish leadership and their communities should be given the recognition that they deserve. They should enjoy the benefits of being a part of the solution rather than being a part of the conflict and the threats Israel faces daily. The Jewish majority of Israel has a renewed opportunity to send a clear message to loyal Druze, Circassian, Bedouin, and Arab Muslim citizens. Israel has always known how to honor and show respect for righteous gentiles, who risked their own lives to save the life of a Jew, it is incumbent upon us to show the same honor and respect to the silent minority that has cast their lot with us. By giving meaning to this support, to this sacrifice, the Jewish nation will be responding to the darkness that has hovered above us in recent weeks with light.